Hello Left Hand Creek Community! Below is our LWOG’s second update on the Captain Jack Mine Investigation. 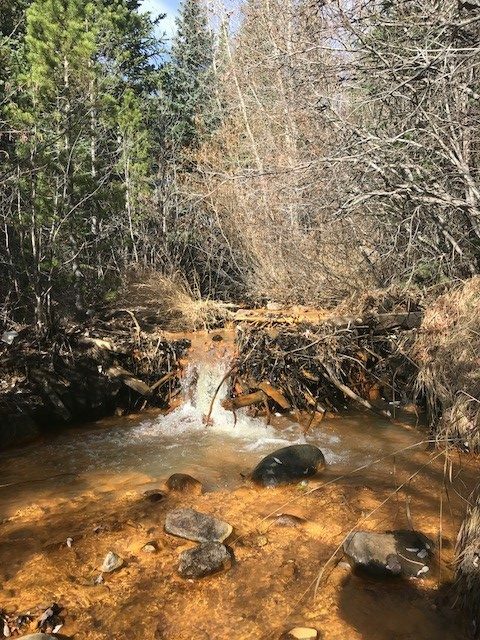 CDPHE has issued a press release stating the fish kill was related to releases at the Captain Jack Mine site https://www.colorado.gov/pacific/cdphe/news/captain-jack-mine. We learned that the CDPHE/EPA closed the valve to the bulkhead yesterday and have begun treating the mine waste with a limestone material to help neutralize the pH. We have received reports from landowners that they are still seeing dead fish; up to 2 dozen fish observed in one pool. Landowners have also noted that the benthic macro invertebrate community has been significantly impacted, with very few bugs observed. CPW has reported that they did collect dead fish and will be running tests to determine metals content and more.